All Right Moves™ utilizes the services of well-established professionals located right in the community into which you are moving. People who are already at work helping others organize their lives and are ready to help you too! All contractors are personally interviewed and approved by Annette Reyman for compatibility with your job and needs. 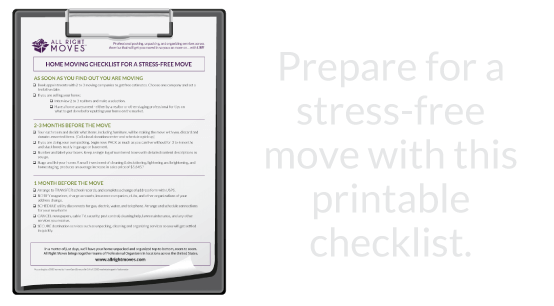 Professionals are then brought together by All Right Moves™ as a team to help you settle in. I'm a bit of a control freak. How do I know the organizers will set things up the way I would? The team will do their best to make sure things are set in order as per your direction. Keep in mind however that your new home may have a different layout and accessibility than you were used to. Take advantage of having these professionals on hand to give design advice and ideas for creative solutions. During the next few weeks following your move, you may find that some solutions are working beautifully, while you may want to tweak others. The primary goal of your team is to get you unpacked and set up quickly and efficiently and then get out of your way. What if I can't find something after the team is gone? In most instances, our clients are able to find what they need where they need it. Professional Organizers are experts at setting up spaces in an intuitive way so that anyone coming in can quickly be able to navigate the ins and outs of all areas. Occasionally, we do get a call asking where something has been placed and a team member responds with a ready answer within 24 hours. How much will it cost for this type of specialized service? The cost of hiring a professional organizer varies from city to city, state to state, country to country. In smaller towns and cities you may find a reliable NAPO organizer for $50 per hour. In places like New York City, you can expect to pay well over $100 per hour. All Right Moves™ has a nationwide network relationship with NAPO professionals. Because of this relationship, we are able to negotiate special rates for our clients while still providing the highest quality with lead organizing experts. Our service rates take into account the cost of living in your new location, the size of your move, the number of members for your team and the number of days to complete the job. Your overall cost will be the best value, at a team rate significantly lower than regular Professional Organizing prices in your area. My moving company offers unpack services. How is All Right Moves™ different? A few moving companies do offer “unpack” services. If you are considering trying it out, first know what they offer exactly. Most movers who offer this service will simply unpack boxes and lay all items on flat surfaces – floors, counters, dressers. When they are done, you are left with a house full of unsorted piles of your belongings, a.k.a. a mess. The people who unpack will most likely be the same people who unload the truck – hourly workers, minimally trained (if trained at all) by the company that hires them. All Right Moves™ works with business professionals who are established in their profession, carry their own additional insurance and are dedicated to upholding their own individual reputations. They are personally invested in providing you with outstanding service! Can I have an organizer come back for help with future projects? Following your relocation services, All Right Moves™ can continue to support you in your new location by offering discounts with the professionals that have worked on your job. 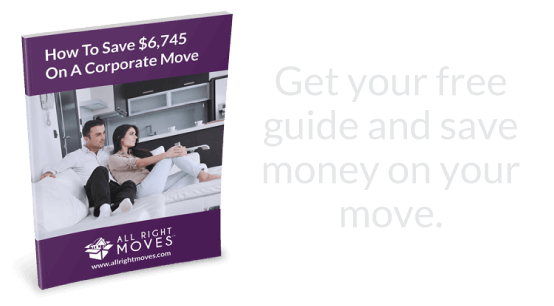 Because of our network affiliation, All Right Moves negotiates special rates for up to 10-hours of follow-up organizing. You may want someone back to help with photo organizing projects, holiday prep, document management, digital organization or time management. Whether personal or business related, All Right Moves will arrange for follow-up visits to help develop and maintain your organized spaces. Our goal is to leave you happily satisfied each and every time. A project manager will keep in touch with you throughout the day or days of your service to make sure you are receiving the services you are expecting from your team. An All Right Moves™ representative will be available by phone, text or email to address any questions or concerns. All matters will be fully addressed before calling the project “complete”.